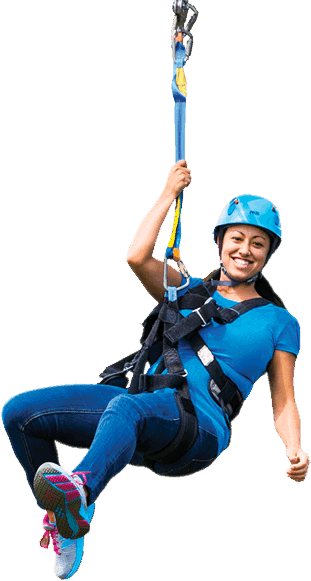 The best 90 minutes of your vacation begins by zipping 30 miles an hour on 9 longlines, over 14 rushing waterfalls, suspension bridges, and treetops. 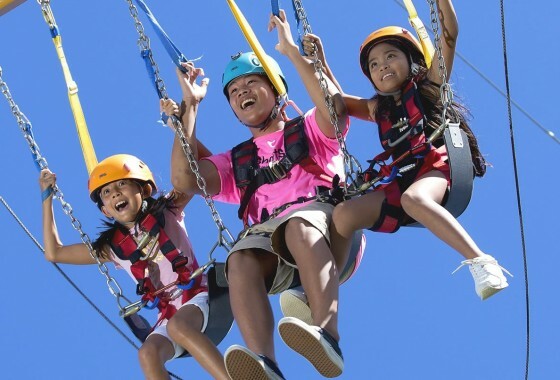 Ages 4 and up will experience exhilarating panoramic views of the Pacific Ocean in this one-of-a-kind tour. 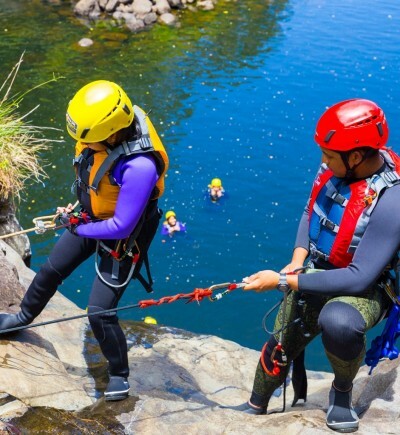 Want an extreme river adventure? 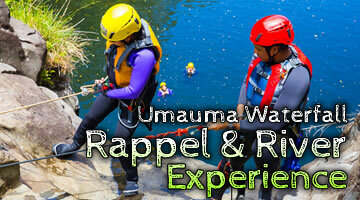 Take a leap and rappel down a waterfall into the beautiful Umauma River. 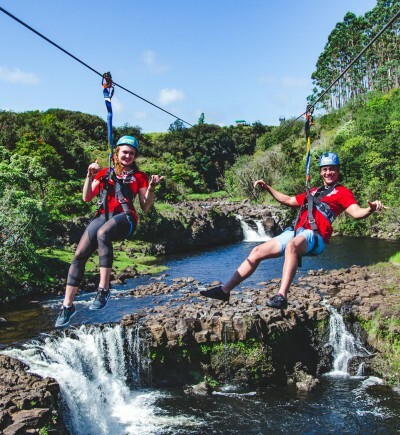 Afterwards, go for a swim or float, hike the valley, or just relax and enjoy Big Island’s natural beauty. 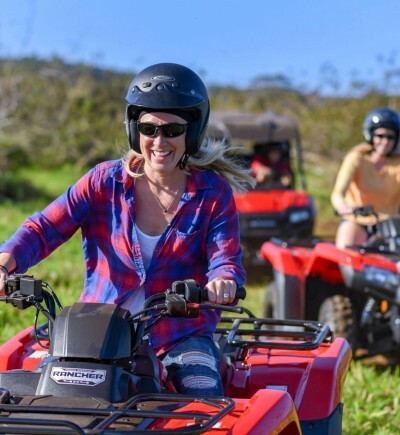 Spend an adrenaline-filled day zipping our full 9 lines, followed by swimming, kayaking, stand up paddle boarding, and relaxing in our private area of the Umauma River. A tasty lunch is provided so you can focus on your experience! 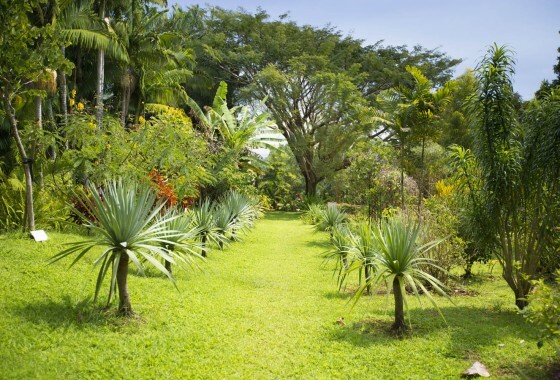 Spend a few hours relaxing luxuriating in a private area of the Umauma River. 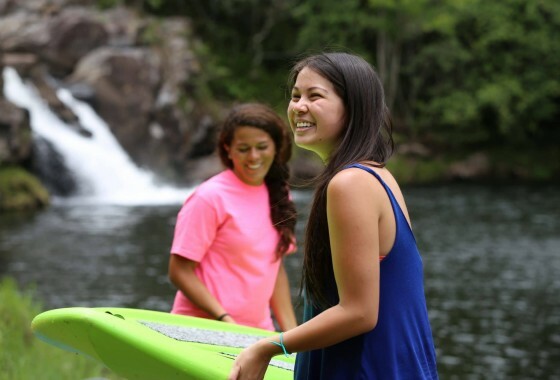 Swim, kayak, stand up paddleboard or just relax and enjoy the scenery with your friends and family. A delicious catered lunch is provided in our secluded pavilion. 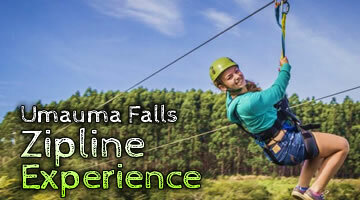 Feel the rush of adrenaline on Umauma’s 50-foot high Giant Swing. 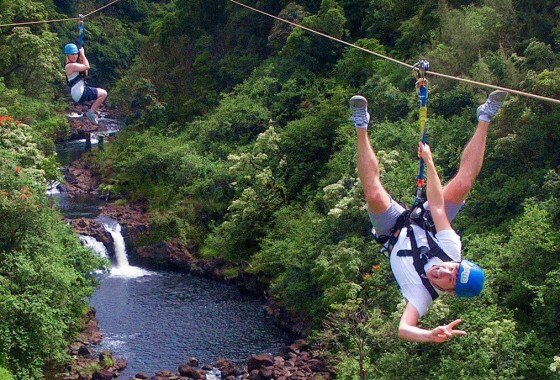 It’s an experience like no other as you swing out 150 feet high over the Umauma River. This is a thrill you won’t want to miss! Our beautifully landscaped grounds are perfect for a self-guided tour through our gardens and along the river walk. Enjoy spectacular views of our triple-tier Umauma Falls, sit and reflect in our meditation garden, and discover the unique scents of Hawaii’s tropical flowers and trees. 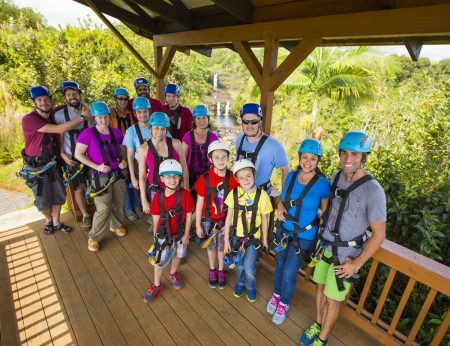 Whether you zip, rappel or go on any of the above exciting tours, the entire family is in for an amazing time, rain or shine! 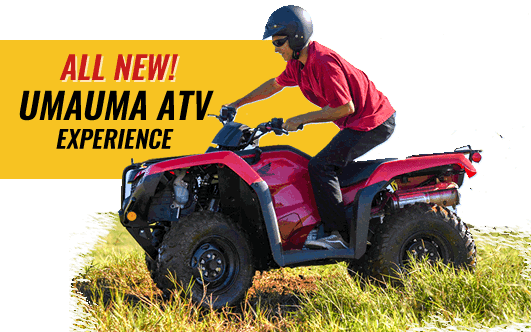 Safety is our #1 priority, and our experienced and highly trained guides will ensure you have a thrilling and exciting experience. 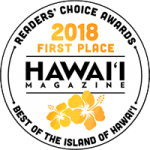 Whether it’s your first visit or your 101st, each of our experiences will leave you wanting another! Ages 4-12 must be accompanied by a guardian, 13-17 the guardian must be present on property. 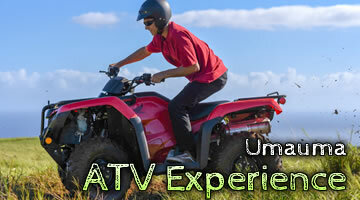 All tours are conducted by our trained guides.